Preparing for an international culinary competition takes weeks, if not months. Developing and perfecting recipes and timing, ensuring that the kitchen is safe and organized, figuring out contingency plans in the event of last-minute hitches — it all takes time, if a chef wants to maximize their chance of winning. Chef Sean Burton, a graduate of The Culinary Institute of Canada’s Culinary Arts and Pastry Arts programs, stepped into the breach and hopped on a plane to Saint Pierre et Miquelon, an overseas collectivity of France located just off the western end of Newfoundland’s Burin Peninsula, with only three days’ notice, to represent the CIC and P.E.I. in a two-day culinary competition – and brought back a silver medal. 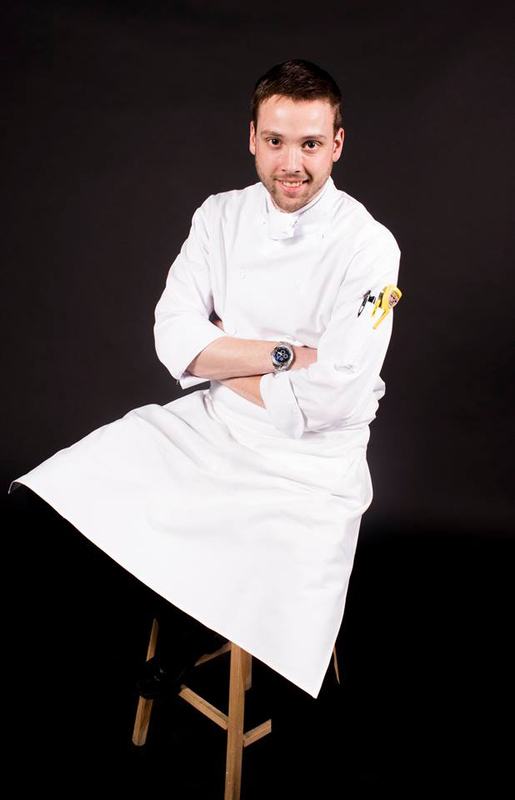 Sean was team captain for the CIC in the World Culinary Olympics’ Regional Competition in 2016, which won double gold and placed fourth in the world. He said the Concours Culinaire competition in Saint Pierre et Miquelon was unlike any other. Most of the events he has participated in have been black box competitions in which each team or competitor is provided with a pantry of items, but don’t know what key ingredients they will have to work with until only a few hours before they are expected to present their dishes. “This competition was based on classical cuisine, so there were very specific dishes that we had to prepare, like soufflés. I’ve never done a competition like that before. You need to distinguish your interpretation of the dishes from those of your competitors, you have to re-imagine them,” he said. The opportunity to compete in the Concours Culinaire came about when the chef who had been preparing for the event had to cancel. Austin Clement, program manager for The Culinary Institute of Canada’s culinary and hospitality programs immediately thought of sending Sean instead. “Austin asked me if I would be interested in going to France represent P.E.I. in the Concours Culinaire, but I thought he was joking,” Sean recalled. Chef Austin said he had absolute confidence that Sean was up to the task. “Sean took on the challenge with just three days’ notice, a case of sharp knives, and his proven ability. After two days of intense competition and the elimination of top competitors from the region, he found himself once again representing PEI and the CIC to the very end. We are proud of his amazing finish. Sean showed the world that our craft is alive and well, and in good hands,” he said. Unflappable, highly organized, and quietly confident, Sean relished the chance to compete so far outside of his comfort zone. After the competition, Sean returned to Charlottetown and his duties as a lab technician for the CIC; but not for long! He is now in China for two months teaching Food Theory and Production to International Hospitality Management students enrolled in the Holland College Educational Joint Venture program.